Tradition and modernity are not always incompatible. Vintage after vintage, Michel Redde, his son and grandsons have proved exactly this. United in their love for the Loire terroir, they produce Pouilly-Fumé worthy of cellaring, praised for its freshness and striking aromatic power. Here we take a look at this old family-owned domain, though it has lost nothing of its youth! It is often said that wine is something that is passed on through the generations, a legacy. 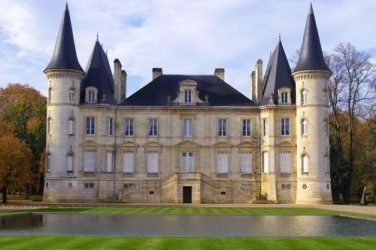 The domain Michel Redde et Fils is living proof of this: wine seems to run in this family’s veins, whose winegrowing origins date back to 1630. Precisely 30 years later, in 1930, Michel Redde was born in Saint-Andelain. At an early age he decided to pursue a career in viticulture and extend the property, with the help of his wife Simone. In 1950, he began to buy parcels of land, cleared them and planted vines. Right away, both husband and wife understood the importance of being in personal contact with their clients and passing tourists. The project to build a tasting cellar, dubbed La Moynerie (in reference to the profession of winegrower, in the past carried out by monks), came into existence in 1966, and has since then welcomed visitors converging on National Road 7 in the hope of tasting Pouilly-Fumé and Pouilly-sur-Loire wines. 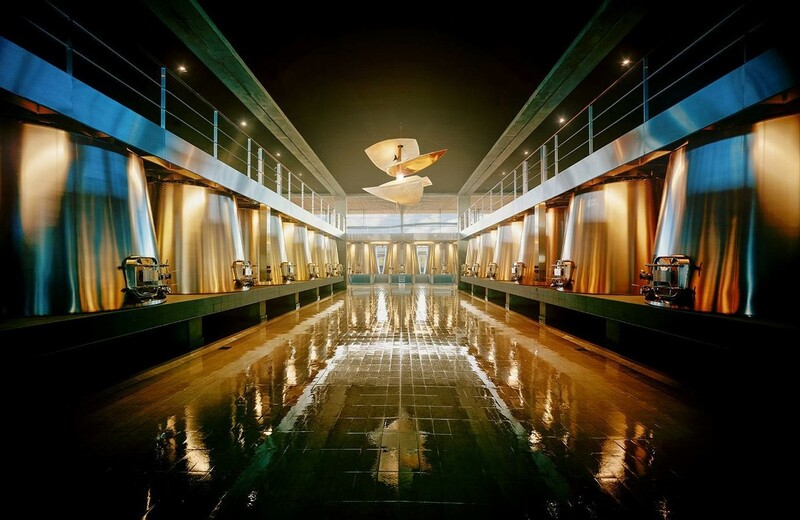 The adventure did not stop there, and in 2001, Michel`s equally innovative son Thierry decided to rethink the winery’s design, setting it on three levels in order to make vinification by gravity possible. Even in a century of constant innovation, tradition is something that all winegrowers hold dear. 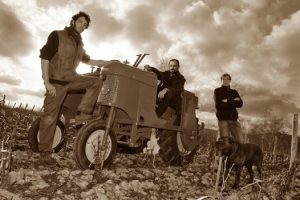 While Thierry’s sons Sébastien and Romain, who joined the workforce in 2003 and 2005 respectively, have adopted some modern methods, they are nevertheless wholeheartedly convinced that their wine must be a symbiosis of three all-important factors: terroir, grape variety and vintage. The Redde family cultivates their Sauvignon blanc (97%) on a small piece of paradise in the Pouilly-Fumé appellation, and unusually enough, their Chasselas (3%) in the Pouilly-sur-Loire appellation. Some of the parcels are fully south-facing, on slopes overlooking the Loire. The clay-limestone soils bring a lot of texture and elegance to the wine, but most importantly great ageing potential. Other parcels, situated on the hilltop of Saint-Andelain, are composed of siliceous-clay soil which provide the minerality so typical of Pouilly-Fumé wines. Michel Redde, his son and grandsons take painstakingly good care of their 42 hectares of vines, which they are gradually converting to organic viticulture. It’s therefore no surprise that they use environmentally-friendly agricultural techniques: the family supports the production of compost, severely prunes the vines at maturity, and harvests the grapes manually before vinifying them by gravity. The domain Michel Redde et Fils wasted no time in spotting each terroir’s distinctive characteristics and carefully selecting each parcel in order to enhance their expressivity. The domain’s wines are appreciated and sought after for their freshness, their intense aromas of yellow and exotic fruits and fruity crunchiness. At once expressive and direct, they offer incredibly purity. It was the success of these wines that encouraged the Redde family to extend their estate, planting new vines in the old flint quarry of Tracy-sur-Loire, “Les Champs des Froids”. 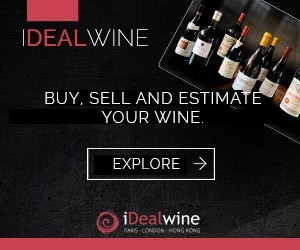 Here at iDealwine, domains like that of Michel Redde & Fils are held in particularly high esteem. Innovation isn’t incompatible with tradition handed through the generations, rather it is used in its service, allowing the family to ceaselessly aim higher… while keeping their feet firmly on the ground! This great historic domain is run with commitment and passion by Thierry Redde and his two sons, Sébastien and Romain. The vineyards are located in Pouilly-Fumé and Pouilly-sur-Loire: this producer is one of the few to own – and still plant – Chasselas vines (cuvée Gustave Daudin). As well as the rather classic, though with no added enzymes or yeasts, wines (La Moynerie or even the very ripe Majorum), at the initiative of the youngest generation of the Redde family, a new range of wines is being produced terroir by terroir : Les Bois de Saint-Andelain (clay to red flint), Les Cornets (Kimmeridgian marl), Champs des Billons (Portlandian limestone), and the latest addition Barre à Mine (vines planted at high density in an old flint quarry). Manual harvests, vinification by gravity, and organic conversion are choices that explain the level of quality obtained by the most recently tasted wines. It is this progression that has allowed the domain to win a star this year. The wines: the singularity of Chasselas is easily perceived in the direct and digestible texture of the Pouilly-sur-Loire cuvée La Moynerie, more so than in the cold Gustave Daudin 2013, which was a touch too vegetal. In Pouilly-Fumé, Petit Fumé hit the bull’s-eye in 2015 with its exotic notes and crunchy fruit. Expressive and pure, La Moynerie 2014 is an excellent blend of white grapes, reflecting the different terroirs of the appellation. 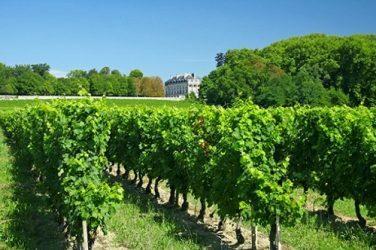 Amongst the single-parcel 2014 cuvées, Les Cornets is palatable if a little simple, while Champs des Billons is more intense and offers the great full-body of clay-limestone soils. Les Bois de Saint-Andelain and Barre à Mine are our favourites. Even with its flavours of exotic fruits and yellow peach, Majorum certainly isn’t lacking in freshness. “The domain: The Redde family knows the meaning of tradition, and the handing down of expertise from generation to generation is one of their main strengths. Sébastien is happily following in his father Thierry’s footsteps. Over the past few vintages, cuvées have been produced by singling out each terroir from individual parcels of the domain’s 40 hectares. This wine is produced from Sauvignon grown in Pouilly-sur-Loire (Kimmeridgian marl), Saint-Andelain (chalky flint), and Tracy-sur-Loire (limestone). Vinified and raised on fine lees in stainless steel vats for 3 months, the wine undergoes alcoholic fermentation at between 16 and 18°C, allowing it to retain its freshness and primary aromas. To be drunk young, this wine is the perfect ‘no frills’ cuvée to serve with friends, alongside cured meats, or a seafood platter. For those of you wanting to try regional food pairings, nothing can beat a Crottin de Chavignol! This cuvée’s Sauvignon is grown on the domain’s new parcel dubbed “Barre à Mine”, situated on an old red flint quarry. Where does the name come from? Simply enough, the vines were planted not with a pickaxe but… a crowbar! In the winery, the wine is matured in barrels and demi-muids for 14 to 16 months on fine lees, before undergoing alcoholic fermentation at between 18 and 20 °C. Capable of ageing for 15 to 20 years, this wine should be decanted before serving to bring out its pure, spicy, saline and incredibly persistent minerality. This cuvée is produced only in the best vintages and can be aged in the bottle for 15 to 20 years. Vinified and matured in barrels, demi-muids and stainless steel vats on fine lees for a year and a half, this wine undergoes alcoholic fermentation at between 18 and 20°C. Decant a little while before serving to open up its purity, minerality and exotic fruits and yellow peach flavours. iDealwine’s advice? Pair this wine with rich dishes in order to counterbalance its flavours, aromas and textures. It will lift dishes of fish in sauce, creamy chicken, and something a little richer, pan-fried foie gras! As its name suggests, this wine comes from parcels situated on the highest point of the appellation: Saint Andelain. Vinified and raised on fine lees for in barrels and demi-muids for 16-18 months, this cuvée of pure Sauvignon can be cellared for up to 15 years. On the palate, its minerality and purity make for an elegant wine, lifted by its slightly spicy notes. Just like his other wines, with this cuvee, Michel Redde has produced a pure, mineral, chalky and almost saline wine. Produced from a limestone terroir called “caillottes” in the commune of Tracy-sur-Loire, it was matured on fine lees for a year and a half in barrels and demi-muids. Our advice? Decant this wine before serving to allow its aromas to develop.